Kaleb’s Philosophy on teaching golf is pretty simple. He doesn’t believe everyone should swing the club the same way. Rather, every player should find a swing that fits their body and personality. However, there are certain swing mechanics that will better results than others. 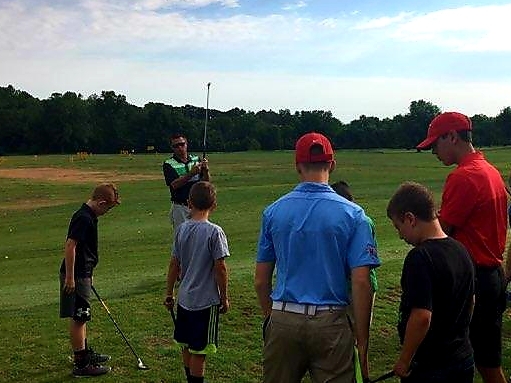 As a teacher, Kaleb aims to incorporate those key fundamentals into “your swing.” Kaleb believes that while learning to play golf, all players must start with a solid and controlled base to their swing. Learning to play golf from the ground up to establish a balanced golf swing will lead to success on the course. Kaleb is an experienced player having played high school golf at Webb City High School before competing on a collegiate level at Missouri Southern State University. He is currently a Level 2 Apprentice in the PGA Program.